Direct, premium private transfer with English speaking driver from Budapest Airport to Lake Balaton door to door, vice versa. 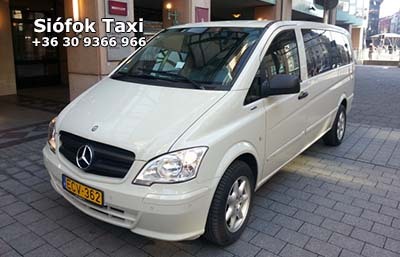 Airport taxi and miniubus service for fixed prices, Cheap, fast, comfortable. Balaton Transfer - The Lake Balaton is the largest lake in Central Europe (600 km², 80 km long, the coast all round is approx 220 km), and one of the region's foremost tourist destinations. 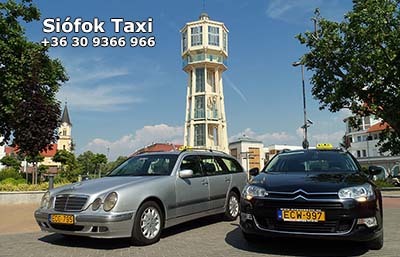 The Siófok Taxi Balaton Transfer Service provides private car, taxi, minivan, minibus and coach transportation, airport pickup, airport transfer between Budapest Airport, Vienna Airport and all settlements around the Lake Balaton area. The train, bus or flight may not set off, when appropriate for you, but we can adapt ourselves according to your needs. The private road car transfer is more comfortable than travelling by train or coach. Choose comfort and security for competitive, affordable prices! 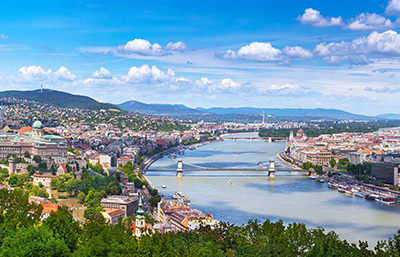 - General Informations about Budapest to Balaton transport: distance Budapest - Balaton: 120 - 220 km (87 - 137miles) duration: approx. : 2 hours. - What is included in the transport price? - All costs are included: private transportation with licensed and insured modern car, VAT, parking fees, highway tolls. * You can use the taxi service from Budapest Liszt Ferenc Airport to Lake Balaton, or from Lake Balaton area to Budapest Airport on fixed transfer prices. The Balaton Minibus Service is available between the Lake Balaton and Budapest Liszt Ferenc Airport, Vienna International Airport, Bratislava, Graz, Zagrab airport vice versa on fixed rates. Rent a coach or bus for larger groups. We provide group transport with 15, 18, 20, 50 seater buses between the Budapest Airport and Lake Balaton. **For more information contact us on phone, e-mail or by filling in the form below! Balaton Taxi Siófok – appropriate for maximum of 4 persons, station wagon combi or limousine. 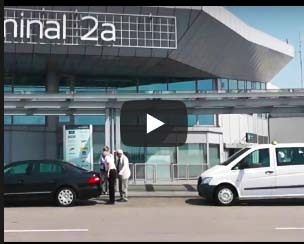 We suggest our E-class Mercedes station wagon, Opel Zafira or Citroen Grand Picasso with air-condition and big luggage-rack for airport transfers. We accept creditcards in case of prearrangement. Taxi Budapest Airport - Lake Balaton – multi seater minivan taxi for 6 passengers, which is only allowed for the transportion of the maximum of 6 passengers according to the law. With even more space and luggage-rack, it is really comfortable for long trips, airport transfers, hotel transfers, international journeys with many suitcases. Fully air-conditioned premium category, especially for smaller groups. 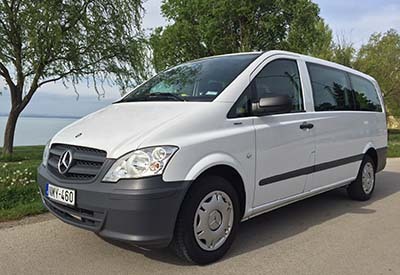 Budapest Airport - Lake Balaton Airport Shuttle - Minibus Transport – Mercedes minivan for 9 passengers, fully air-conditioned, premium category. English, German, Hungarian speaking driver, payment with creditcard is available. Between Budapest Airport and Lake Balaton, the price can be more reasonable than travelling by train or bus.